Domingo Esteso is one of the greatest makers in the history of the Spanish guitar. He began working as an apprentice in the workshop of Manuel Ramirez, and upon Ramirez death he worked for his widow, though including his own name on the labels. He ended up working in this workshop at the same time as Santos Hernandez and Enrique Garcia, the three of them becoming the standouts of the Manuel Ramirez workshop. The guitars from this shop to this day have a special quality that sets them apart from all others of this period, be it for their exquisite workmanship or their sonic characteristics. Later, Domingo Esteso went independent and set up shop at Gravina No. 7 in 1915, with his wife Nicolasa Salamanca, who polished the guitars. This was his most prolific period – one can still find specimens of beautiful workmanship that have had the good fortune to fall into the hands of those who knew how to care for them, and they are played and enjoyed to this day. 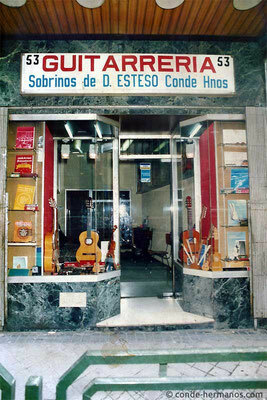 Many of these guitars were sold abroad, especially to Argentina, where they carry the label he "made for Romero Y Hernandez of Buenos Aires". This was primarily due to the high cost of the guitars and the terrible economic situation in Spain during that period. 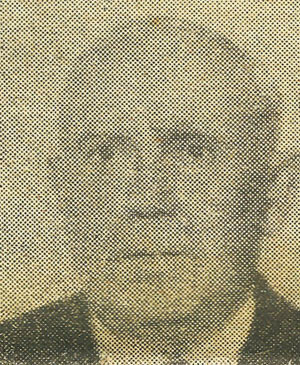 Faustino Conde joined the workshop in 1926 and Mariano Conde joined in 1929. This was the beginning of the next epoch of these guitars. The Conde brothers learned their craft and their love of the art of guitar making from Domingo Esteso. They stayed with Domingo Esteso until his death in 1937, in the middle of the Spanish Civil War. Esteso died of a respiratory infection due to an air current in the workshop, which might have been cured but for a lack of penicillin. They continued making guitars until 1939, but very few, due to the civil war. 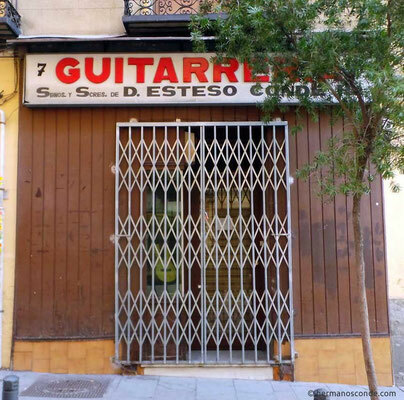 Domingo Esteso gehört zu den größten Gitarrenbauern in der Geschichte der spanischen Gitarre. Er begann als Lehrling in der Werkstatt von Manuel Ramirez. Nach Ramirez Tod arbeitete er bei der Witwe, obgleich die Etiketten seinen Namen trugen. Er arbeitete zur gleichen Zeit in der Werkstatt wie Santos Hernandez und Enrique Garcia. Diese drei waren das Aushängeschild der Manuel Ramirez Werkstatt. Die Gitarren aus dieser Werkstatt haben bis heute eine besondere Qualität, die sie von anderen Gitarren aus dieser Zeit unterscheiden, sei es für ihre exquisite Verarbeitung oder ihre Klangeigenschaften. Später machte Domingo Esteso sich selbstständig mit einer Werkstatt in der Gravina Nr. 7 im Jahre 1915, mit seiner Frau Nicolasa Salamanca, die die Gitarren lackierte. Dies war seine produktivste Zeit - einige Exemplare dieser Baukunst, die das Glück hatten, in die richtigen Hände zu fallen, entsprechend gepflegt wurden, können bis heute gespielt werden. Viele dieser Instrumente wurden ins Ausland vor allem nach Argentinien, wo sie das Etikett "hergestellt für Romero Y Hernandez Buenos Aires" gemacht trugen, verkauft. Dies ist vor allem auf die hohen Kosten für die Gitarren und der schrecklichen wirtschaftlichen Lage in Spanien in diesem Zeitraum zurückzuführen. Faustino Conde fing 1926 in der Werkstatt an und Mariano Conde im Jahr 1929. Dies war der Beginn der nächsten Epoche dieser Instrumente. Die Conde Brüder lernten ihr Handwerk und ihre Liebe für die Kunst des Gitarrenbaus von Domingo Esteso. Sie arbeiteten mit Domingo Esteso bis zu seinem Tod im Jahr 1937, in der Mitte des spanischen Bürgerkrieges. Esteso starb an einer Atemwegs- Infektion durch einen Luftstrom in der Werkstatt. Diese wäre heilbar gewesen, aber Penicillin war Mangelware zu dieser Zeit. Die Conde Brüder bauten weiter Gitarren bis 1939, aber nur sehr wenige, aufgrund des Bürgerkriegs. After the Civil War the brothers kept the label “VIUDA Y SOBRINOS DE ESTESO” (Widow and nephews of Esteso) out of respect for their aunt, Nicolasa Salamanca, and they kept this label until her death in December of 1959. In this epoch the third and youngest brother, Julio Conde, entered the workshop. The brothers continued the tradition of their uncle, introducing only minor changes. Before 1953 they had designed a new headstock for their top model, which came to be known as the “Media Luna” (half-moon), and which they used interchangeably with Domingo Esteso’s headstock. They began introducing new rosettes. This epoch was characterized by the warm sound of their guitars, which was the result of a marriage between tradition and the constant search for improvement in quality of sound and volume. 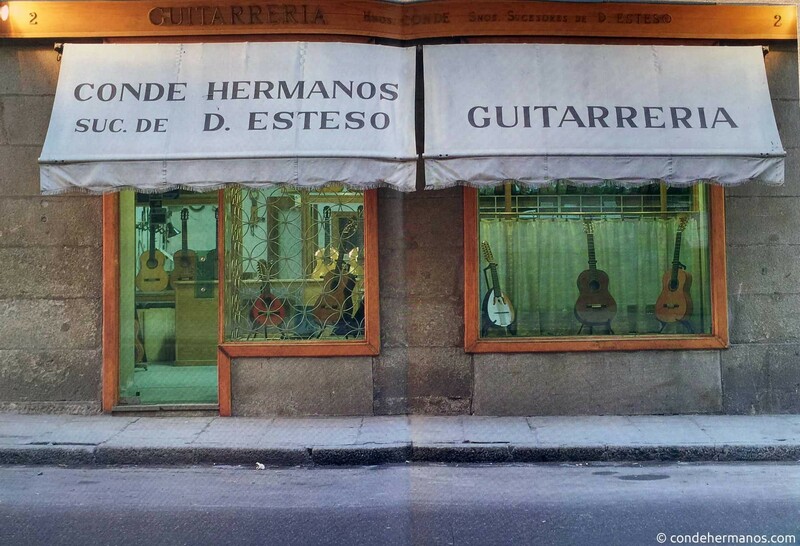 Over the years, and due to the boom that the guitar acquired, at the beginning of the 1950s they created a new elaboration and attention customers centre at Atocha No. 53 , managed by Julio Conde. Among the guitarists who played the guitars of this epoch are Regino Sainz de la Maza, Alirio Diaz, Quintin Esquembre, Manolo de Huelva and many more. Nach dem Bürgerkrieg behielten die Brüder die Bezeichnung "VIUDA Y SOBRINOS DE ESTESO" (Witwe und Neffen von Esteso) aus Respekt vor ihrer Tante, Nicolasa Salamanca bei. Sie führten diese Bezeichnung bis zu ihrem Tode im Dezember 1959. Zu dieser Zeit fing der dritte und jüngste Bruder Julio Conde in der Werkstatt an. Die Brüder setzten die Tradition ihrer Onkel fort und machten nur geringfügige Änderungen. Vor 1953 entwarfen sie einen Gitarren-Kopf für ihre Top-Modelle, der als "Media Luna" (Halbmond) bekannt wurde. Dieser wurde im Wechsel mit dem Domingo Esteso Gitarren-Kopf eingesetzt. Die Brüder entwarfen neuer Rosetten. Diese Epoche wurde durch den warmen Ton ihrer Gitarren, der das Ergebnis einer Ehe zwischen Tradition und der ständigen Suche nach Verbesserung der Qualität von Klang und Lautstärke war, gekennzeichnet. Im Laufe der Jahre und wegen des GItarren-Boom, eröffneten die Brüder zu Beginn der 1950er Jahre einen Verkaufsladen in der Atocha Nr. 53, der von Julio Conde verwaltet wurde. Im Jahr 1957 eröffneten sie die Werkstatt in Pozuelo de Alarcón, Santiago Maganto Nr.4, um ihre Schüler-Modelle, die keine Unterschrift oder Etikett trugen, herzustellen. Dies sind die Gitarren, die später als "Guitarras de segunda" bekannt wurden. 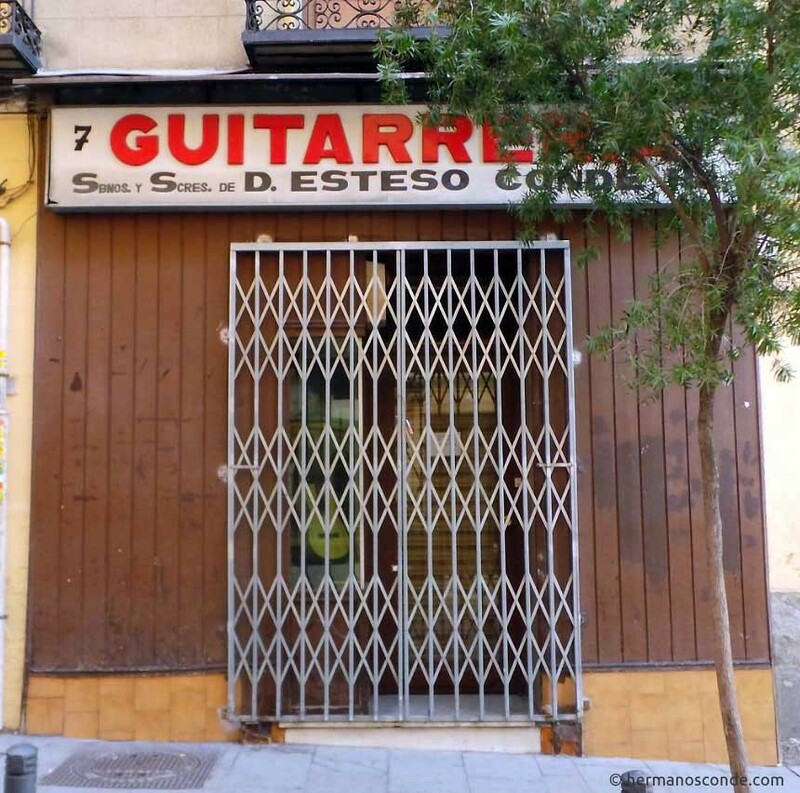 Unter den Gitarristen, die die Gitarren dieser Epoche spielten, sind Regino Sainz de la Maza, Alirio Diaz, Quintin Esquembre, Manolo de Huelva und viele mehr. Upon the death of Nicolasa Salamanca they opted to use the name SOBRINOS DE DOMINGO ESTESO/CONDE HERMANOS which was used interchangeably with HERMANOS CONDE/SOBRINOS DE ESTESO. 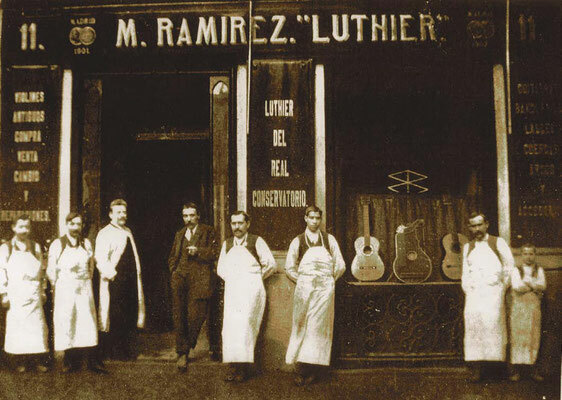 During this epoch they were prolific in their construction of guitars which were in demand by the great majority of professionals, including: El Niño Ricardo, Sabicas, Melchor de Marchena, Mario Escudero, Paco de Lucia, Paco Cepero, Enrique de Melchor, los “Habichuela”, Oscar Herrero, Gerardo Nuñez, Rafael Riqueñi, Tomatito, Al Di Meola, John Maclaughlin ,Bob Dylan, Cat Stevens, Leonard Cohen and many more. In 1960 they established the use of the “media luna” (half-moon) headstock for their top of the line guitars, and this became the symbol of the Conde name. They modified the plantilla and the inner bracing of the top of the guitar. They introduced new rosettes that were inspired by designs from the past. They differentiated the classical and flamenco models in the plantilla and in construction, giving them distinct sounds. They achieved a characteristic sound, with great volume and its own personality, which is recognized throughout the guitar world. 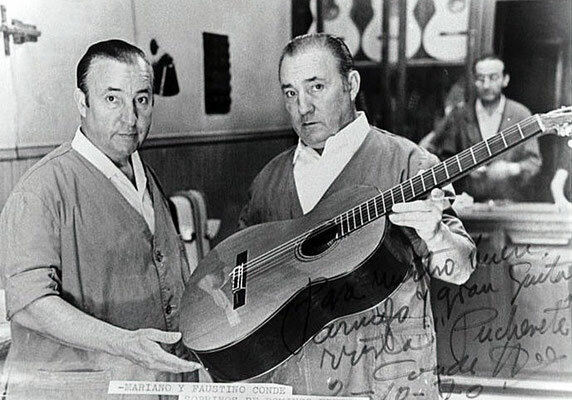 At this time the Conde brothers introduced for the first time the use of rosewood for a flamenco guitar, traditionally only employed on classical guitars. This model was made famous by Paco de Lucía as the first flamenco guitar built for a concert setting. In the flamenco world this type of guitar is usually named “negra” as opposed to “blanca” built with cypress for back and sides. In this way a new sound was achieved, with a great volume and own personality widely recognized in the flamenco world. In 1971 Felipe Conde I , entered the workshop at Gravina No. 7, at the side of Mariano Conde and Faustino Conde, and this marked the beginning of the next generation. Some years later Mariano Conde II, also joined the workshop. Nach dem Tod von Nicolasa Salamanca entschieden die Brüder, die Bezeichnung SOBRINOS DE DOMINGO ESTESO / CONDE HERMANOS im Austausch mit HERMANOS CONDE / SOBRINOS DE ESTESO zu verwenden. Zu dieser Zeit waren sie sehr produktiv in der Herstellung ihrer Instrumente - die Nachfrage war gross. Darunter viele professionelle Gitarristen: El Niño Ricardo, Sabicas, Melchor de Marchena, Mario Escudero, Paco de Lucia, Paco Cepero, Enrique de Melchor, los " Habichuela ", Oscar Herrero, Gerardo Nuñez, Rafael Riqueni, Tomatito, Al Di Meola, John MacLaughlin, Bob Dylan, Cat Stevens, Leonard Cohen und viele mehr. Im Jahr 1960 etablierten sie die Verwendung des "Media Luna" (Halbmond) Gitarren-Kopf für ihre Top-Modelle und dieser wurde zum Markenzeichen für Conde Gitarren. Sie modifizierten die Deckenform und die innere Beleistung der Gitarredecke. Sie führten neue Rosetten ein, die von Designs aus der Vergangenheit inspiriert wurden. Sie unterschieden zwischen klassischen und Flamenco-Modellen bei der Deckenform und in der Konstruktion, durch die Ausprägung individueller Sounds. Sie erzielten einen charakteristischen Klang, mit großem Volumen und einer eigenen Persönlichkeit, der in der ganzen Gitarrenwelt anerkannt ist. Zu diesem Zeitpunkt verwendeten die Conde Brüder zum ersten Mal Palisanderholz für eine Flamenco-Gitarre, das traditionell nur für klassische Gitarren benutzt wurde. 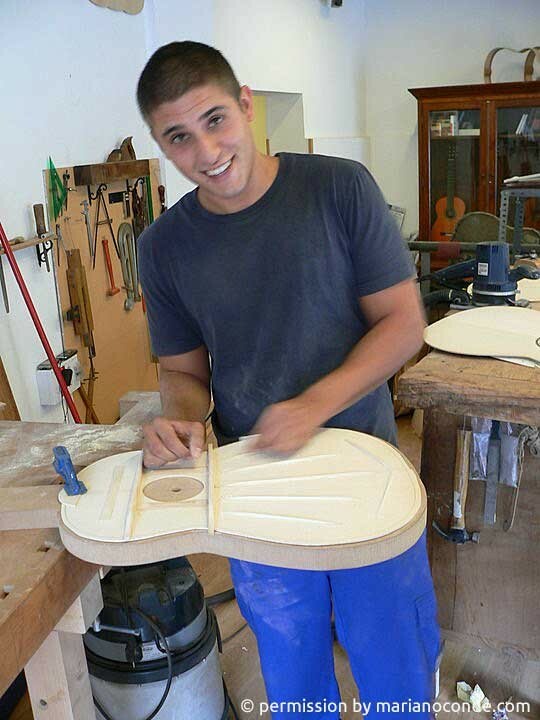 Dieses Modell wurde bekannt durch Paco de Lucía, das als erste Flamenco-Gitarre für Konzertzwecke entwickelt wurde. In der Welt des Flamenco bezeichnet man diesen Gitarrentyp mit dem Namen "negra" im Gegensatz zur "blanca" aus Zypressenholz für Boden und Zargen. Auf diese Weise wurde ein neuer Sound mit großem Volumen und Persönlichkeit erreicht, der in der Flamenco-Welt anerkannt ist. Im Jahr 1971 begann Felipe Conde I in der Werkstatt in der Gravina Nr. 7 an der Seite von Mariano Conde und Faustino Conde. Dies war der Start der nächsten Generation - ein paar Jahre später fing Mariano Conde II in der Werkstatt an. 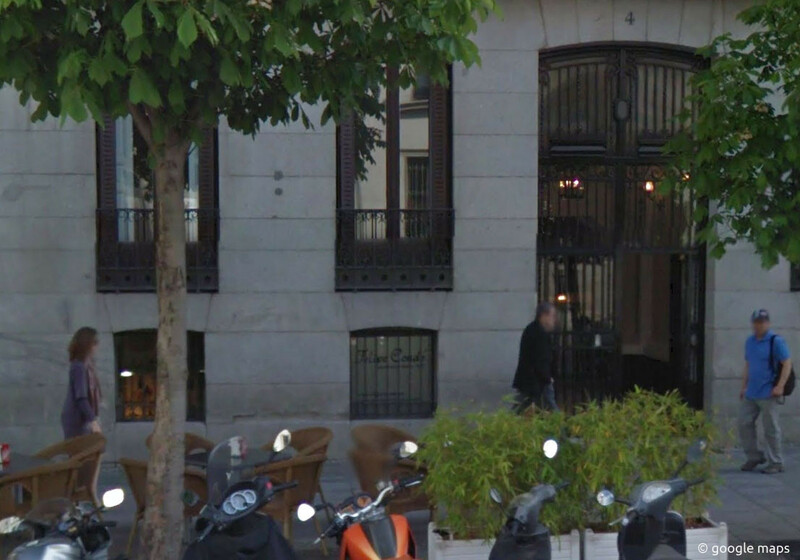 In 1980 Mariano Conde, established a new shop at Felipe V No. 2 and with his sons began the next phase in the family history. 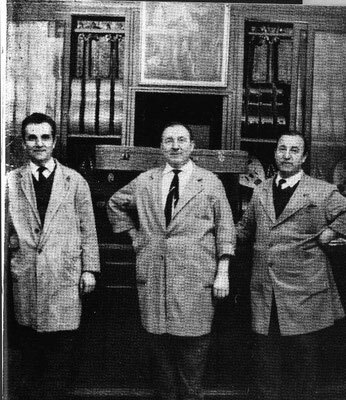 Until the death of Faustino in 1988 they worked in conjunction with the shop at Gravina No 7. From 1988 on the Felipe V shop functioned independently. The old workskop at Gravina No. 7 was managed by Faustino’s widow and is closed now. 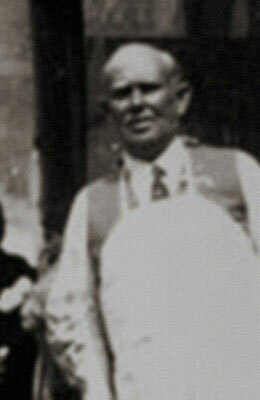 In 1989 Mariano Conde died, and Felipe I and Mariano II took over the shop. 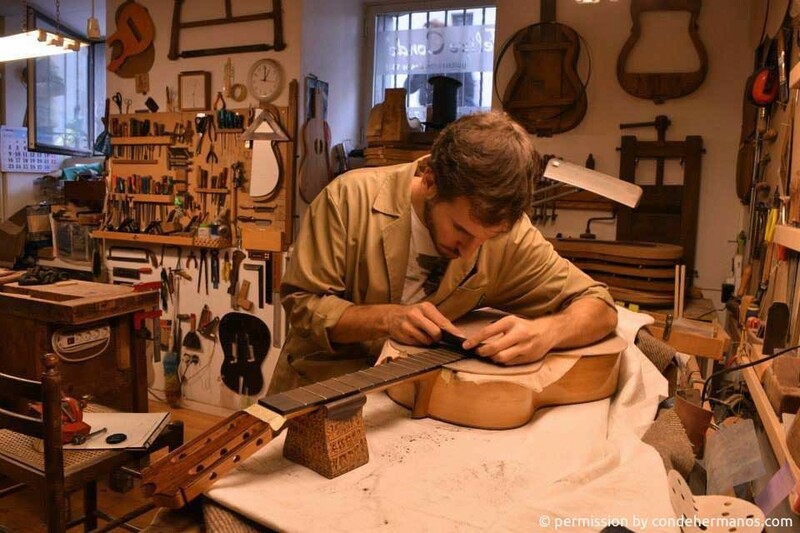 At first they continued to make guitars as Mariano had, but with time and with the improvements in materials, tools and technology they began to innovate, while always maintaining the characteristic sound and the tradition of workmanship in order to give each instrument its history and its own personality. The Felipe V model, which uses woods that are selected for their beauty, quality and age, and with beautifully elegant detailing; and the Domingo Esteso re-edition and the Viuda Y Sobrinos de Esteso 1953 re-edition which was inspired by a guitar from that year that Tim Miklaucic, owner of Guitar Salon International, asked us to make a copy of. These guitars are made with the original forms and plantillas as the original, and with aged woods. Many of the guitarists who play Conde guitars during this epoch are the very same ones who had played them in the previous epoch, and who remained loyal to the Conde sound. Added to them were the new generation of guitarists, including Javier Conde, Roberto Morón, Lenny Kravitz, David Byrne, Sergio Vallin and many more. During this epoch the brand was developed, and taking the Conde name worldwide by going to international trade fairs such as NAMM, Music China, Frankfurt and Japan. Julio Conde died in 1995. His daughter Carmen manages the shop at Atocha No. 53. Im Jahr 1980 eröffnete Mariano Conde mit seinen Söhnen Felipe I und Maraino II ein neues Geschäft in Felipe V Nr. 2 - die nächste Phase in der Familiengeschichte. Bis zum Tod von Faustino 1988 arbeiteten sie zusammen mit dem Geschäft in der Gravina Nr. 7. 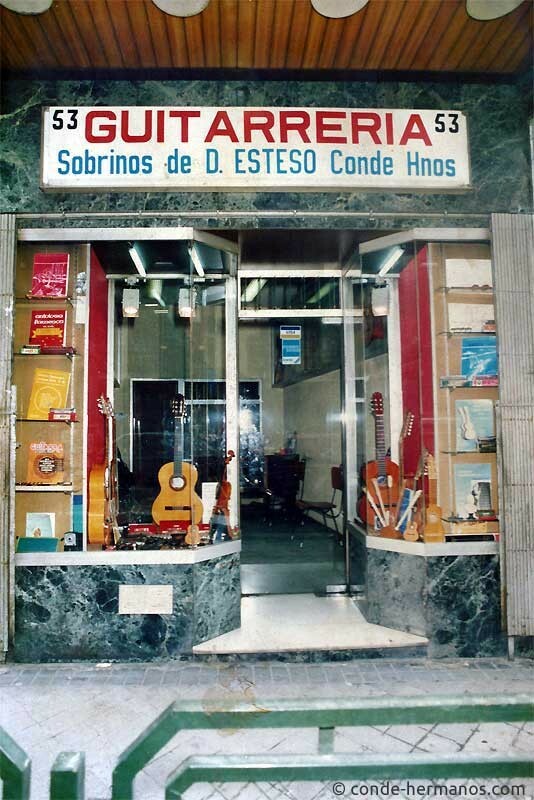 Von 1988 an war der Felipe V Shop unabhängig. Die alte Werkstatt in der Gravina Nr. 7 wurde von Faustinos Witwe geführt und ist nun geschlossen. Im Jahr 1989 starb Mariano Conde und Felipe I und Mariano II übernahmen das Geschäft. Anfangs fuhren sie fort, Gitarren zu bauen, wie Mariano es tat, aber mit der Zeit und mit den Verbesserungen der Materialien, begannen sie Werkzeuge und Technologien zu erneuern, wobei immer der charakteristische Klang und die Tradition des Handwerks beibehalten wurde, um jedem Instrument seine Geschichte und eigene Persönlichkeit zu geben. Das Felipe V-Modell, dessen Holz nach besonderer Schönheit, Qualität und Alter ausgewählt wird und mit wunderschönen eleganten Verzierungen ausgestattet ist. 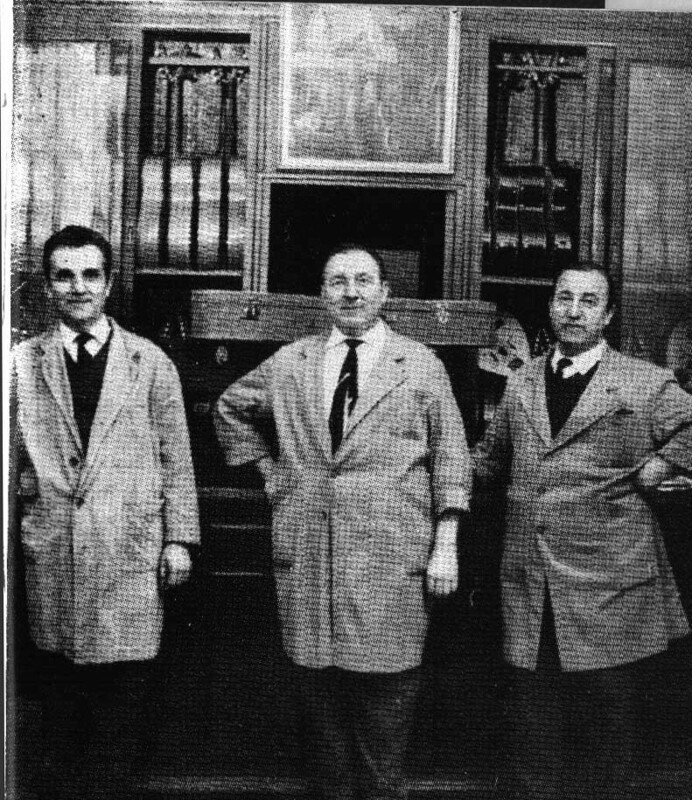 Die Neuauflage des Domingo Esteso und des Viuda Y Sobrinos de Esteso 1953 Modells. 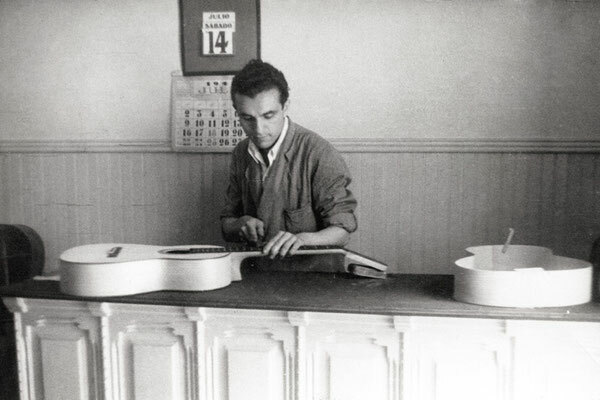 Tim Miklaucic, Inhaber von Guitarsalon, inspirierte dazu eine Kopie einer 1953er Esteso zu bauen. Diese Gitarren werden aus alten Hölzern mit den ursprünglichen Schablonen und Formen wie das Original gebaut. Viele Gitarristen, die in dieser Epoche Conde Gitarren spielen sind genau dieselben, die bereits in der vorhergehenden Epoche Conde Gitarren spielten und dem Sound verbunden blieben. Hinzu kamen die neue Generation von Gitarristen, einschließlich Javier Conde, Roberto Morón, Lenny Kravitz, David Byrne, Sergio Vallin und viele mehr. Während dieser Zeit wurde die Marke entwickelt und unter dem Namen Conde weltweit auf internationalen Messen wie der NAMM, Musik China, Frankfurt und Japan präsentiert. Julio Conde starb im Jahr 1995. Seine Tochter Carmen führt das Geschäft in der Atocha Nr. 53. In 2010 the two brothers Felipe I and Mariano II each went his own way and now each sells under his own label. Felipe Conde I moved to his new shop at Arrieta No. 4, across from the old workshop at Felipe V (which was on the corner of Arrieta). His children Felipe II and Maria joined his workshop. Mariano Conde II opened his workshop at Amnistia No. 1. Mariano II works together wih his son Mariano III. While Felipe I produces more or less the same model line up – Mariano II changed his business policy and offers now all models - including the cheaper ones - with media luna headstock. At Atocha No. 53 Carmen and Patrizia run the workshop. Their instruments still bear the “Hermanos Conde” label. In 2015 all Conde shops present special 100th anniversary - centenary - guitars. Im Jahr 2010 trennten sich die beiden Brüder Felipe I und Mariano II. Jeder geht seinen eigenen Weg und verkauft Instrumente in seinem eigenen Namen. Felipe Conde I zog in sein neues Geschäft in der Arrieta Nr. 4, gegenüber der alten Werkstatt in der Felipe V (die an der Ecke von Arrieta war). Seine Kinder Felipe II und Maria arbeiten auch in der Werkstatt. Mariano Conde II eröffnete seine Werkstatt in der Amnistia Nr. 1. Mariano II arbeitet zusammen mit seinem Sohn Mariano III. Während Felipe I mehr oder weniger die gleiche Modellpalette produziert änderte Mariano II seine Geschäftspolitik und verkauft nun alle Modelle - auch die preiswerten - mit Media Luna Gitarren-Kopf. In der Atocha Nr. 53 führen Carmen und Patrizia die Werkstatt. Ihre Instrumente tragen weiterhin das Etikett "Hermanos Conde". Im Jahr 2015 präsentieren alle Conde Geschäfte spezielle 100- Jahre-Jubiläums Gitarren.